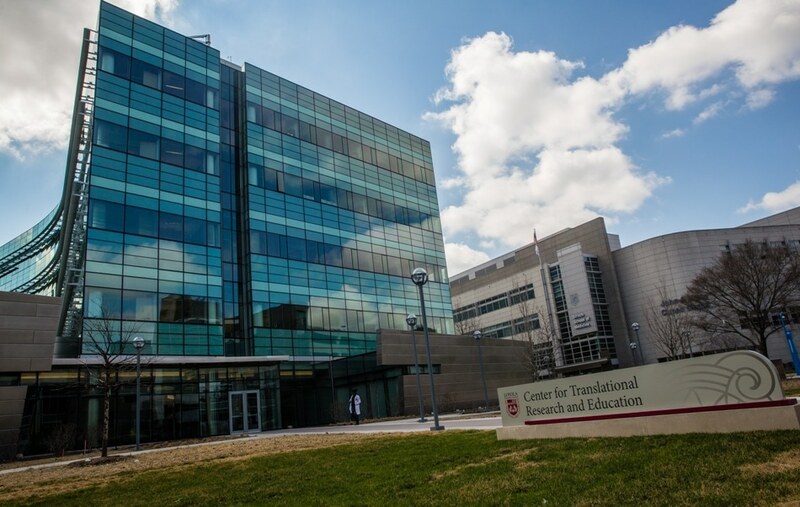 Loyola University Chicago’s Center for Translational Research and Education (CTRE) has received the prestigious LEED® gold certification from the U.S. Green Building Council. LEED (Leadership in Energy and Environmental Design) is the foremost program for the design, construction and operation of green buildings. LEED-certified buildings use less water and energy and reduce greenhouse gas emissions. Loyola’s innovative medical research and education center opened in April, 2016 on the university’s Health Sciences Division campus in Maywood, Ill. The five-story, $137 million building houses 500 students, faculty and staff. The CTRE is a collaborative initiative of Loyola University Chicago, Loyola University Health System, and Trinity Health. The CTRE's high-performance exterior walls provide maximum insulation. Occupants are able to open the windows, thus allowing for natural cooling in the spring and fall. The inside of the building is awash in daylight, reducing the need for artificial lighting. Exterior shading devices provide shade in the summer, while allowing the sun to shine through in the winter.